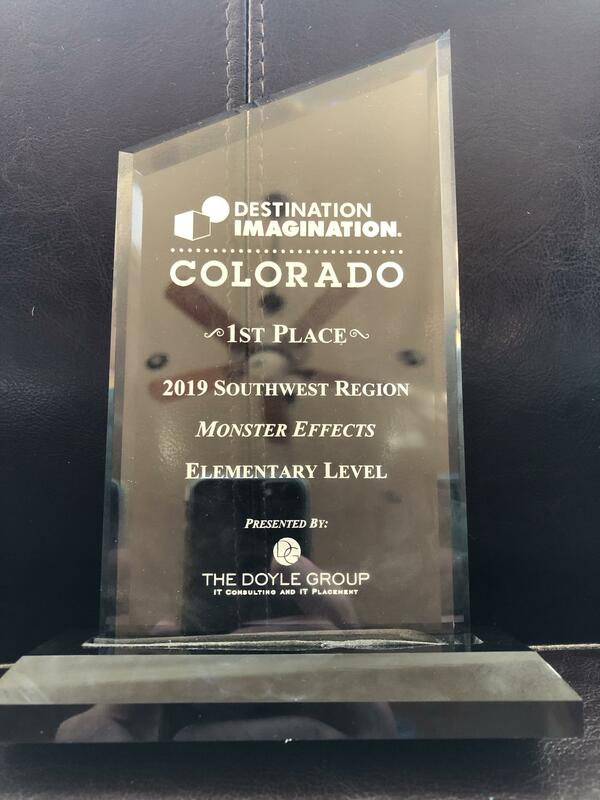 Our Destination Imagination team won 1st place in the Engineering Category! We are so proud of our students and grateful to parents who volunteered and supported our girls all along the way. 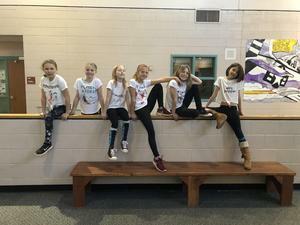 The Sassy Peppers are: Isabella Croke, Gracie Fitzpatrick, Analee Gilpin-Reynolds, Celia Matz, Brooke Casias and Evan Zion. The team co-managers are Darren Croke and Erinn Morgan-Croke. Thank you to all students' parents who were helpful throughout the entire process!